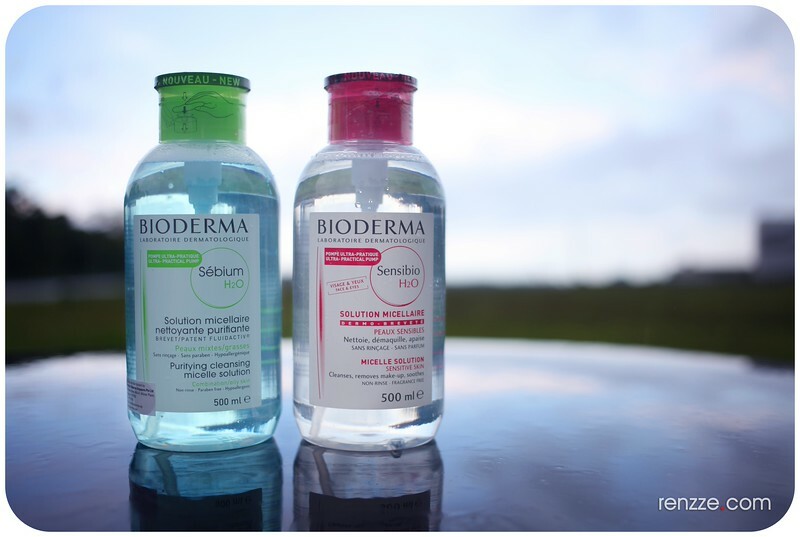 When it comes to makeup removal, these days I rely heavily on cult brand Bioderma to do the heavy lifting. With one bottle sold every 3 seconds, the effectiveness of this easy-to-use, non-rinse makeup remover speaks for itself. Micellar waters were first embraced by France but are now popular with celebrities internationally. French ladies do wear quite a bit of makeup even though they work towards achieving a natural carefree beauty look. However, the tap water in France is rather hard and drying for the skin so many French ladies seek for non-rinse products. 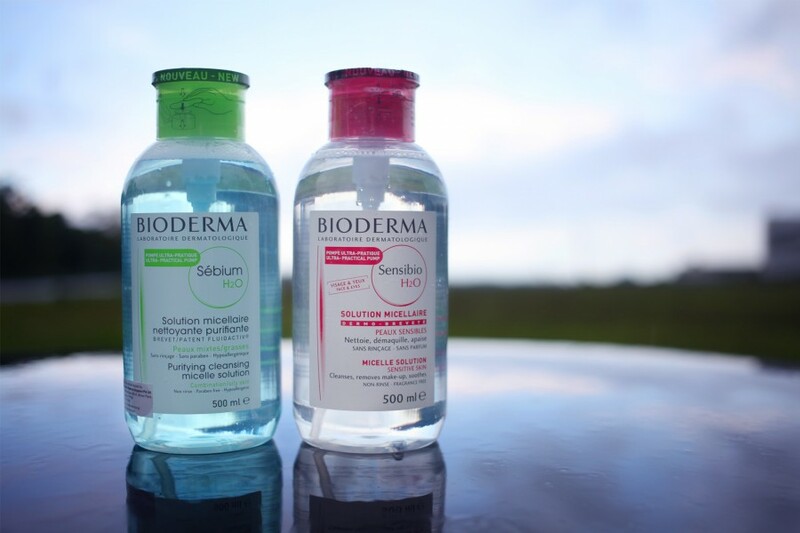 With micellar waters like Bioderma H2O, the removal of makeup is done with a swipe of the cotton pad rather than rinsed off. Micellar waters use tiny micelle particles to draw make-up (including waterproof mascara), sebum and impurities from the skin. While makeup wipes are just as convenient, micellar waters are free of soap and alcohol, making them a more gentle alternative to harsh face wipes especially when you’re in a rush or on the go. Sensibio H2O (the red cap bottle) is the 1st and only dermatological micellar water perfectly compatible with the skin: its fatty acid esters, the constituent elements of micelles, are similar to the phospholipids of the skin cell membranes and naturally help rebuild the skin’s hydrolipidic film. Sébium H2O (the green cap bottle) is the 1st specific make-up removing micellar water for combination or oily skin that mimics the natural composition of the skin for perfect make-up removal and total respect for even the most sensitive skin. Thanks to the Fluidactiv® patented sebo-correcting complex, it biologically regulates sebum quality to keep the pores from becoming clogged and clear up the skin. Enriched with purifying agents, zinc gluconate and copper sulphate, Sébium H2O purifies the skin and limits sebaceous secretion. I love how this product doesn’t strip my skin or makes it dry after use. I don’t usually wear heavy make up so this is perfect for me. 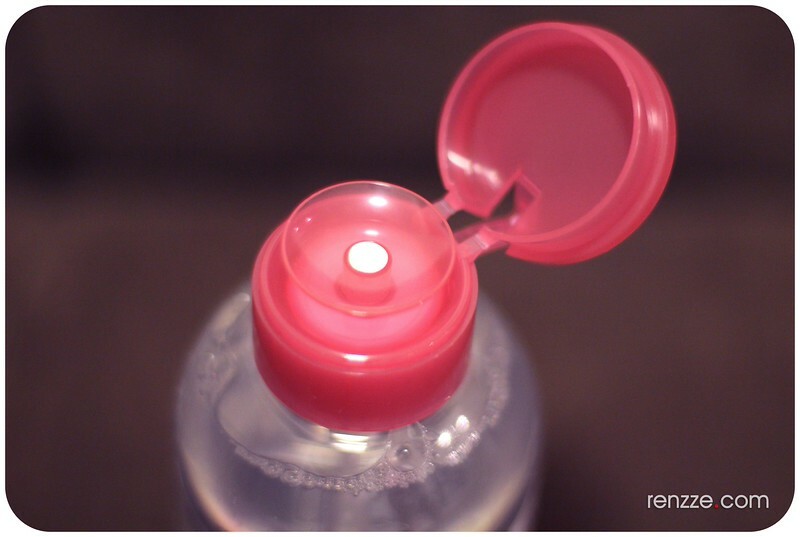 Just pump a little solution on the cotton pad with using the easy pump head on the bottle and wipe off any makeup. No mess, no oiliness and no need to wash off. Since I have eyelash extensions, this method of make up removal is also a lot less intrusive for me compared to using cleansing oils. I managed to remove water resistant eyeliner relatively easily but if you do wear waterproof makeup formulations for your eyes, you would still need to remove it with a dedicated eye makeup removal before using this. Having sensitive skin, I highly appreciate that it is hypoallergenic, paraben-free, non-comedogenic and contains no colouring agents. For those who are keen to try (or who are already fans of Bioderma), you might interested to know that Guardian stores at Vivo City, Causeway Point and Jurong Point are giving away free Sensibio H2O samples now (while stocks lasts)! Additionally, as part of the Sensibio H2O’s 20th Anniversary celebrations, buy any product to get a free sample pouch with Sensibio Light and Sensibio Eye samples! If you purchase 2 products (inclusive of any H2O) at these stores, you’ll get a free cosmetic pouch and travel-size product! For more details, check out Bioderma’s FaceBook Page. It’s been awhile since I did an #OOTD on my blog. I’ve been staying off most social media channels these days while recovering from fever and flu and I hope I’ll recover soon as I’ve so much I need to do. Once I’m feeling better, I fully intend to work towards a healthier lifestyle so I can build a stronger immunity and not fall ill again so easily. Health is is most important thing yet many of us fail to prioritise it’s worth until it’s too late. I’m highly grateful for the love, care and concern my family and friends have showered upon me while I was operating at half capacity last week. Although not fully recovered, I’m feeling so much better now and ready to get my schedule back on track.